With September halfway through and temperatures finally breaking, we can just start to fathom that it’s almost sweater weather. And you know what that means…eating without abandon. As such, the much-anticipated return of Madison Sq. 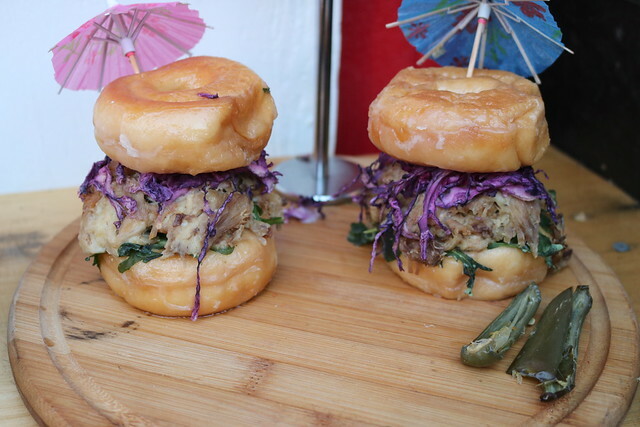 Eats has launched and we recently previewed a smattering of the acclaimed vendors in the park space. 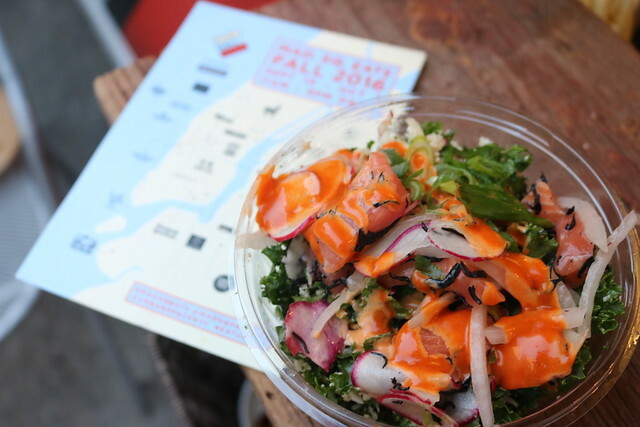 Located right in Worth Square, adjacent to Madison Square Park – made famous by the ever-present Shake Shack line – the pop-up culinary market is open seven days a week from September 10th until October 7th. With 25+ eateries represented, I had to call in some gastronomic back-up. My friend Molly joined in and we employed a divide and conquer strategy to the spread. We beelined it to Gotham Poke and tried both the tuna and the salmon. We loved that you could really customize the bowls with toppings and bases; I particularly loved the kale option rather than traditional rice. 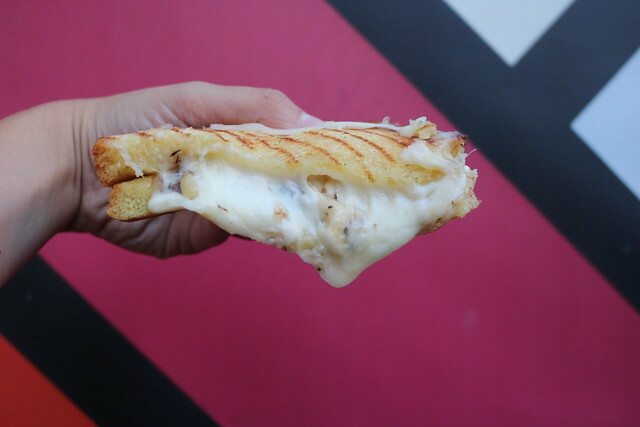 Don’t miss the playful grilled cheese sandwiches from MeltKraft, which will bring you back to your youth. We split a impressive sammy stuffed with brie, cranberries, and caramelized onions, which was the perfect balance of savory and sweet, reminiscent of Thanksgiving dinners. 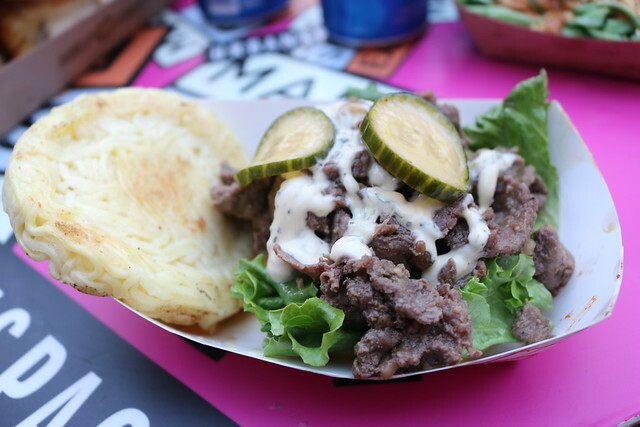 This is slightly embarrassing to admit, but Molly and I were one of the first people to try the Ramen burger when it originally came out a few years ago, waiting more than two hours in line at Smorgasburg. For old time’s sake, we nibbled on the Madison Sq. Eats rendition. The noodles were too cold for our liking, but the beef was juicy and flavorful. 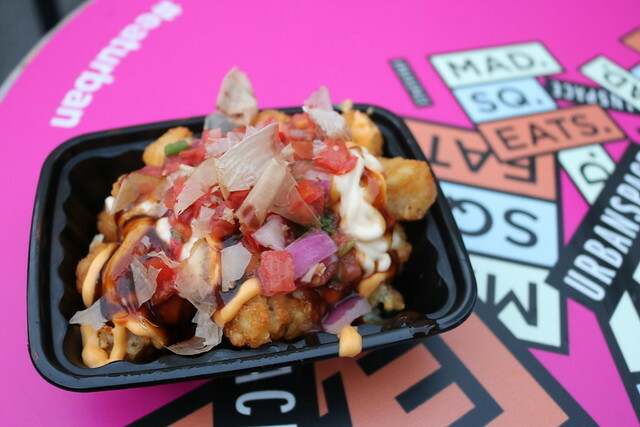 My favorite bite of the evening were the Japanese tater tots from Domo Taco. Unique, Asian-inspired sauces and fresh veggies made this dish a stand-out and it was unlike any type of tots I’ve ever tried. 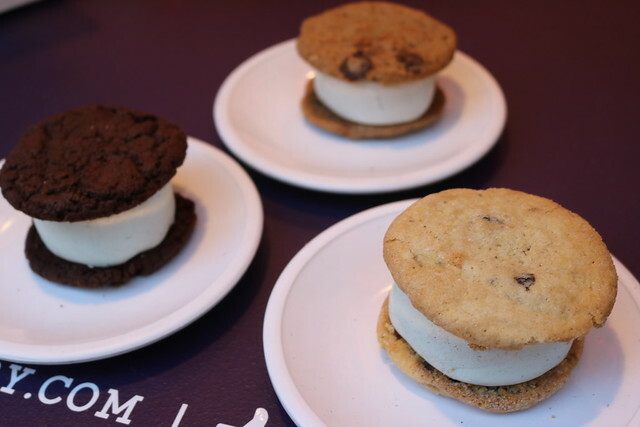 We ended our feast on a sweet note with an ice cream sandwich from Melt Bakery. You can definitely tell that the cookies are made from scratch and we had a hard time choosing just one from all of the options. I ultimately took a chance and tried the most unique variety – a blueberry cookie paired with sweet corn ice cream. 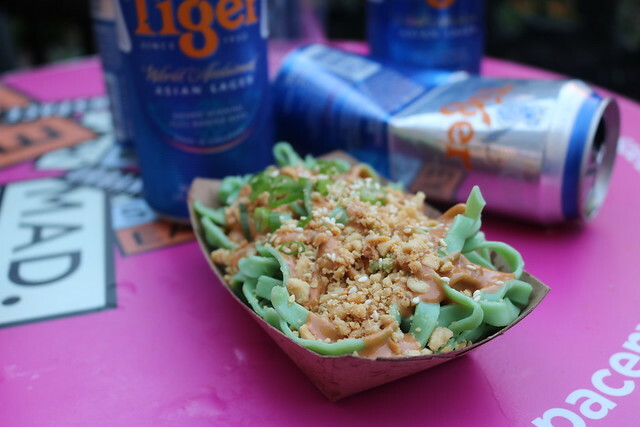 Madison Sq.Eats is a fun activity to try some interesting bites and enjoy the brisk fall breezes, whether on your lunch break or on a casual dinner date. We recommend bringing some friends and splitting some plates, as it’s hard to pick just one! More information about Madison Sq. Eats, here.